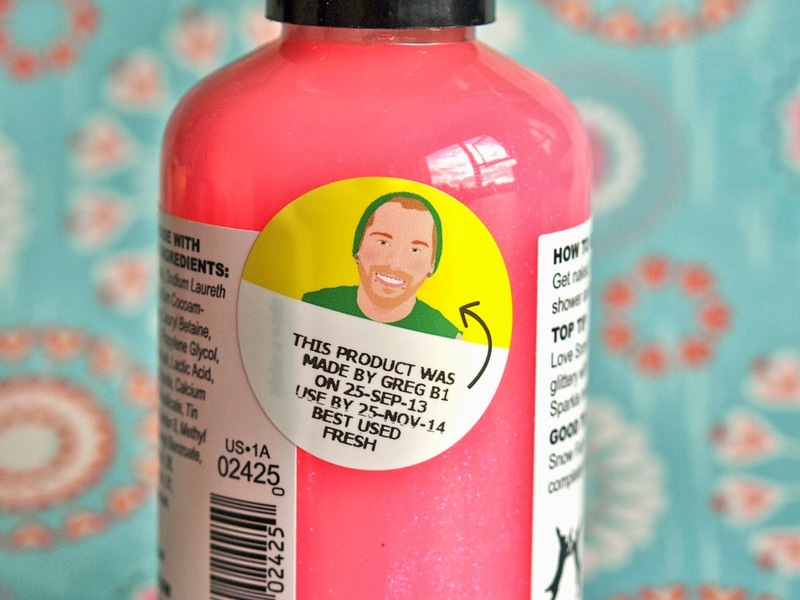 Hey guys, today I have one more Lush Christmas limited edition product to show you and this one is a classic. Ever since I discovered Lush three or four years ago, I always pick up a bottle of Snow Fairy Shower Gel ($9.95 USD for 100mL) during Christmastime because this stuff smells a-mazing! The smell of Snow Fairy is simply divine, I find it quite hard to describe but Lush describes it as the heavenly scent of candy floss and vanilla. To me, it smells very sweet but very refreshing at the same time. The product lathers wonderfully and leaves me feeling squeaky clean. 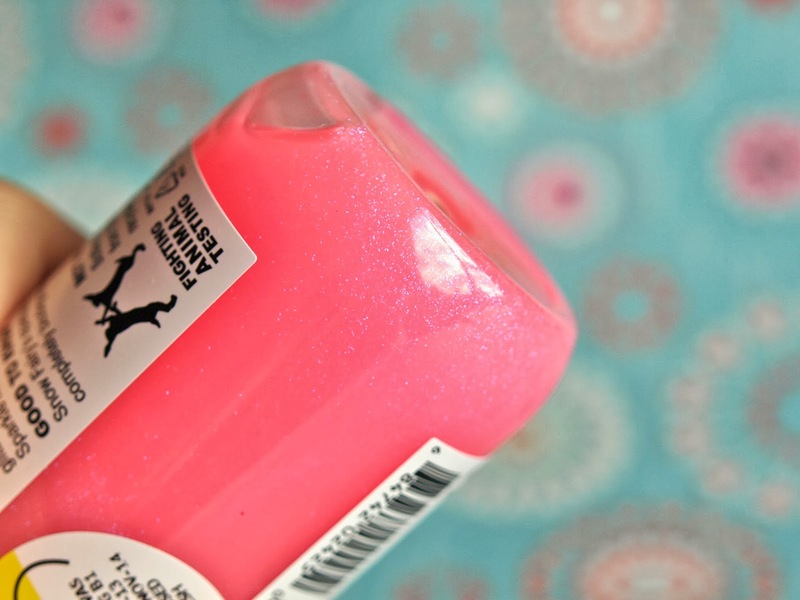 What makes this shower gel even more magical is the iridescent shimmer it contains. As you can see from the photo above, the shower gel has some wonderful micro shimmer dispersed within the bubble gum pinkness. However, the shimmer is biodegradable and washes right off the skin along with the bubbles. And in case you were wondering, my Snow Fairy was made by Greg with the cool piercings. So pop by your local Lush and give this product a whiff, I swear you will instantly fall in love and will wish it is available year around! 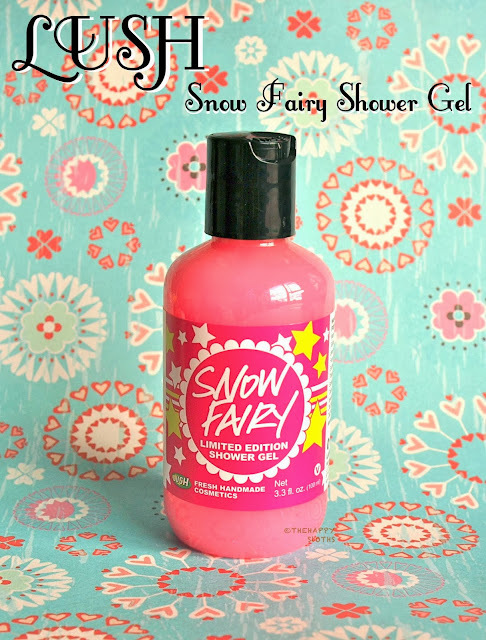 Have you tried Snow Fairy before? What is your favorite Christmas time shower product?